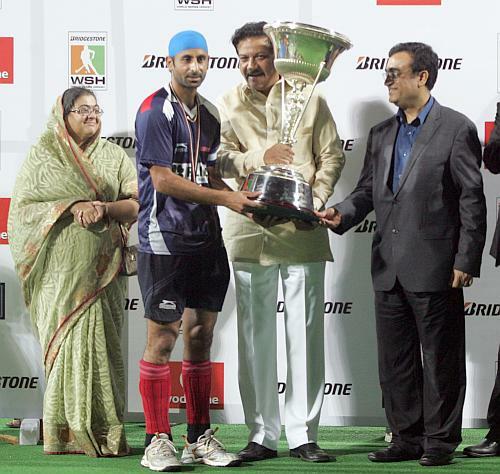 Sher-e-Punjab emerged champions in the inaugural edition of the Bridgestone World Series Hockey. The Punjab side won the coveted honour in inimitable style, trouncing the pugnacious, but panicky, Pune Strykers 5-2 in a pulsating final, in Mumbai on Monday night, and deservingly pocketed the highest-ever prize-money purse in the history of hockey. In a contest played at breathtaking pace, the opportunistic Strykers stunned the Shers with an early goal to electrify the huge crowd, but Shers took control of the game without any delay to ascertain their authority, striking spectacular goals at regular intervals. Captain Prabhjot Singh again proved his class as he again came up with a brace of solo goals. Besides Prabhjot, VS Vinaya and young gun Harpreet Singh struck from penalty-corners while the other goal came through the tireless Deepak Thakur. 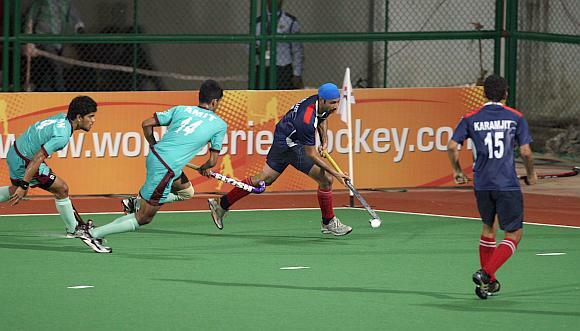 Tyron Periera and Simrandeep Singh Randhawa scored one each for runners-up Pune. 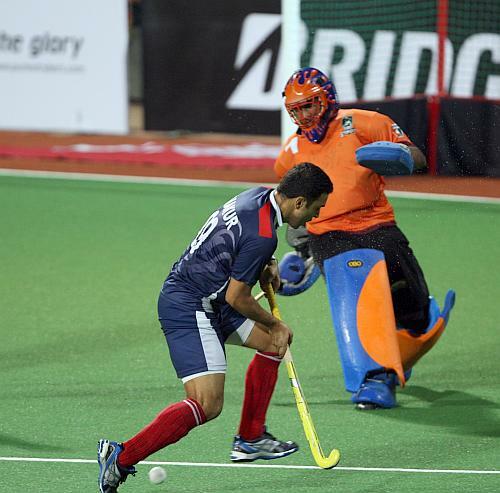 Earlier, Pune goalkeeper Gurpreet Singh Guri stood firm, blunting three penalty-corners from the Shers. The third one, in which he stretched his legs in time to nib three potential ground shots, was superb. When Thakur struck for a 2-1 lead at half time, it was because the 'keeper was left stranded without any cover from his mates. Prabhjot, well-supported by former India teammates Gagan Ajit Singh and Deepak Thakur, was a thron in the Strykers' side as he repeatedly broke through following fine promptings from Mandeep Antil and Australia's Mathew Hotchkis. Karnataka Lions -- got Rs one crore each. The individual awards, decided on the basis of inputs from a select panel of hockey experts, including commentators who watched every single match.